Looking for a mess-free way to craft with kids? 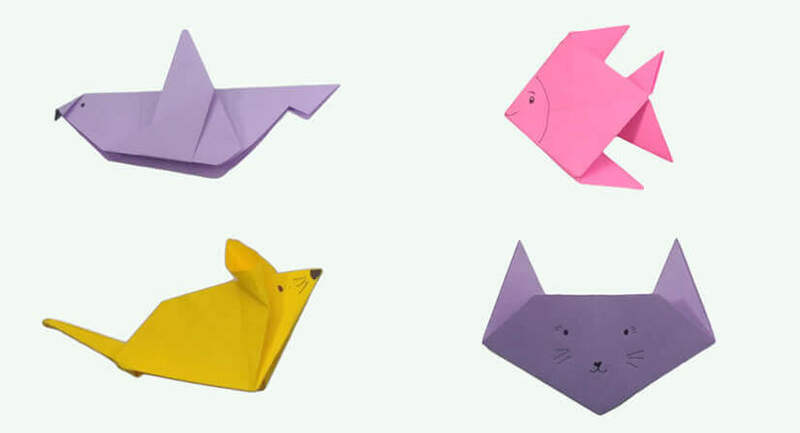 Try these 4 amazing, cute origami animals that kids will love to play with and create! I had literally just finished cleaning the house. Everything was in its place. The floors shone. The table sparkled. The idea of pulling out craft supplies and dealing with sequins, glue, paint, and glitter struck fear in my heart. Anything but that! What in the world could I do that would entertain them but wouldn’t undo all my hard work? I wracked my brain and went through every activity known to man. Jewelry? Nah, too many beads to chase. There must be something that is crafty, easy to make, but doesn’t involve making a mess! Finally it came to me – Origami! You cannot make a mess folding paper and the possibilities are endless. From paper cups and stars to the incredibly intricate dragons – origami allows you to create works of art through the simple act of folding and creasing paper the right way. I have four cute origami for kids ideas to start you off. You can find more ideas at your local library or better yet – Pinterest! Kids will delight in having their origami cat chase and pounce the other three animals we’ll make today. Have fun folding! Origami paper in any color or size (Origami paper comes in many sizes and prints. Standard sizes are 3” x 3”, 6” x6”, 10” x 10”. You can make your own origami paper by cutting copy or construction paper into a perfect square rather than a rectangle). One fish, two fish, red fish, blue fish! Now your kids can make their very own fish! 1. On a flat surface, fold an origami paper down at the middle. Turn once to the left and fold down at the middle, again. Do this one more time. 2. Unfold the paper from its quarter size. Take the lower right corner and fold it up to the upper left corner to form a triangle. Then, take the bottom corner of that triangle and fold it up to the opposite corner. Unfold the paper all the way up to its original size. You just made creases all over it. 3. Fold the top one-fourth portion of paper down to the middle crease. While pulling the upper left corner of the paper upwards, fold the left one-fourth side of the paper. Press it down, turn the paper once to the right and do the same thing to the next side. 4. Turn to the right and work the other side until you have completed all four sides. You should get something like the pictures above. 5. Unfold the top flap to the left and then unfold the right flap upward. 6. Form the tail. Take the top left flap and fold it out from the middle. Do the same thing to the lower flap. Then form the pelvic fin by taking the lower right most point and folding it up to the middle. Form the dorsal fin by taking the upper right most point and folding it down to the middle. 7. By now you should have the fins, the tail and the head. Flip it over and draw eyes and mouth and you are done. An easy origami cat is even better since you don’t have to feed it or clean up after it. It only takes minutes to make one as well. 1. Lay your square origami paper on a flat surface. 2. Turn it halfway to the right so it will resemble a diamond. Then fold the bottom corner up to the top corner at the middle. You should get a triangle. 3. Fold the top of that triangle an inch down. 4. Hold the paper at the bottom where the crease is at. Take the right bottom point and fold it half way up the paper from the point where the crease and the bottom meets. The side of the ear should touch the outer corner of the small triangle at the top. 5. Fold the other side in the same manner to form the other ear. 6. Press flat and flip. 7. Draw the cat’s face and you are finished. An origami mouse is probably the only kind of mouse you’ll want to have in your house! Here’s how to make one. 1. Get a square origami paper and lay it on a flat surface like a diamond. Fold the bottom corner up to the top corner at the middle. Unfold. 2. Take the bottom corner and bring it up to the middle crease. The lower left side of the paper should go along the middle crease. Bring the the top corner to the middle, making the upper left side of the paper align with the middle crease, as well. 3. Take the top most point and fold it down to the middle. Take the lower-most point and fold it up to the middle. Unfold and you just made a crease. You should get something that looks like this above. 4. Take the middle corner and pull it out to the left as shown. Do the same thing to the other side. 5. You should have something that looks like this above. 6. Pull the lower middle flap inward to the middle. Do the same thing to the upper flap. 7. Flip the paper over. 8. Pull the left side. The fold should be just an inch away from the center. 10. Fold the top left-most corner down to the middle crease and then the bottom left-most corner up to the middle crease and get something like this. 11. Fold it down at the middle. 12. Flip the paper horizontally. 13. Open the ears by pressing open the two flaps. The head and the ears of the mouse should now be visible. 14. Now it is time to form the tail. Fold the tail inward down and then out from the inside. 15. Draw the face of the mouse and if you followed the instructions correctly, it should stand like this. What other origami animals are left for your cat origami to try to catch? We have a mouse and a fish but we’re missing a cat favorite for pouncing – a bird! Never fear, your house will remain mess-free. This is a bird without feathers! Note: You will need a pair of scissors for this one! 1. Lay your origami paper on a flat surface like a diamond. 2. Fold the left corner at the middle, bringing it to the right. 3. Then take the left corner back to the left side folding it about an inch away from the center fold. 4. Fold it down in half. 5. Form the wings, on the side that is facing you take the bottom corner and fold it up halfway as shown. Do the same thing to the other side. 6. Form the bird’s head. Fold down the left corner just a little so that it resembles a beak. 7. Cut the other end as shown. 8. Your origami bird is finished. The art of paper folding is especially great with kids because it’s an ingenious way to teach them patience and the need to follow directions. If you speed through and don’t follow the instructions, you won’t be successful at making your craft. They also learn that it’s okay to make a mistake and start over. Often with origami animals, it takes a few attempts to get the folds just right. The hidden lessons in these kinds of activities are often the best opportunities for learning! 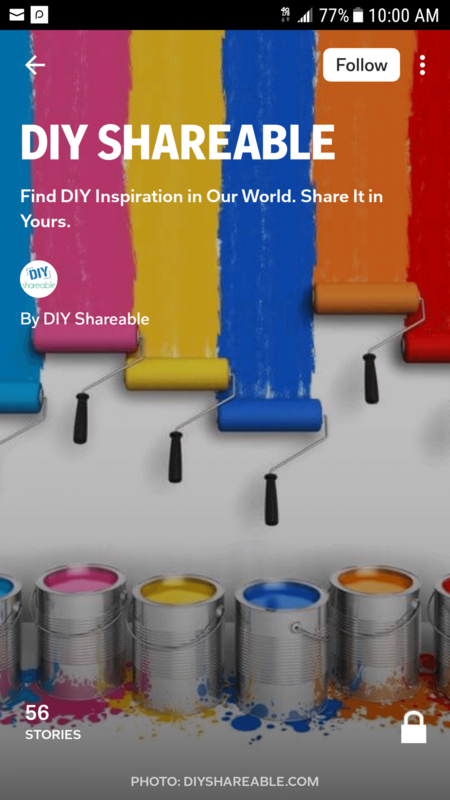 Next time boredom strikes, crafting won’t necessarily mean a new mess for you to clean. Beyond the ideas shown here there’s plenty of origami for kids that they will love and lend themselves to endless play afterwards. Paper cups and boxes can be used to create a paper restaurant complete with origami food items. Fold a zoo, fold an ocean full of animals, or fold the entire solar system complete with origami stars! Origami is my favorite boredom buster when I just don’t have the energy to tackle the glitter, glue and other messy materials. What are your favorite clean kid crafts to do?